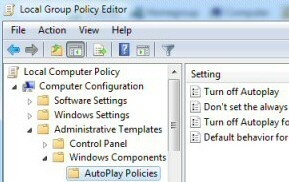 There is always something satisfying in controlling computer settings with group policies. The key to getting started is finding the gpedit.msc snap-in for your version of Windows 8. If your Windows 8 machine is part of an Active Directory domain, then configure the settings via the GPMC on the domain controller. However, if your Windows 8 is in workgroup, HomeGroup, or in a stand-alone configuration then seek out the local group policy editor – gpedit.msc. Mr Nasty’s Reasons: to restrict users, for example, ‘Prevent users from adding or removing toolbars’. Mr Nice’s Reasons: to pamper users, for example to adjust settings that confuse users, such as ‘AutoPlay’ where without a policy their machine would play the wrong media by default. Mr Luddite: to configure the machine with old settings that were found in previous versions of Windows, but have been replaced, phased out, or deprecated in Windows 8. If you need to alter a setting this is how to launch Microsoft’s Local Group Policy Editor. Trap: Many people forget to append the .msc file extension, consequently they cannot find the editor. Once gpedit appears in the resultant Apps list, consider right-click, Advanced and ‘Pin to Taskbar’. It’s straightforward from now on, launch gpedit and navigating through the Local Computer Policies. 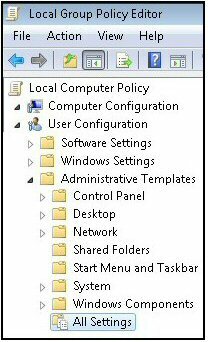 The most interesting policies are found in the User Configuration, Administrative Templates folders. Alternatively, you could research policies from the ‘All Settings’ folder. If you can rule out a typo, and you remembered that .msc extension, then the most likely reason you cannot see Microsoft’s Windows 8 gpedit.msc is that you have the Home Premium Edition. There has to be some benefit in paying the extra for the Windows 8 Ultimate, or Professional, and getting the Local Group Policy Editor is one of them. If you cannot get a copy of gpedit.msc, one work-around would be to call for Regedit and change the setting in the registry. See more on Gpedit.msc problems. 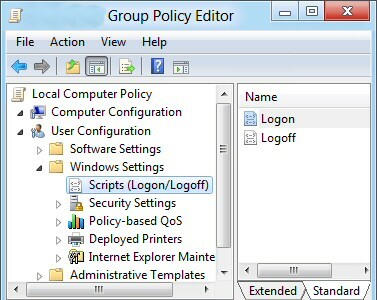 Microsoft introduced the idea of group policies back in the days of NT 4.0, naturally, each successive Windows generation has added more settings so that we now have over 3,000 policies. If media you insert into the computer is not behaving as you wish, then call for gpedit.msc. Research: Turn off AutoPlay –> Enabled / Disabled. 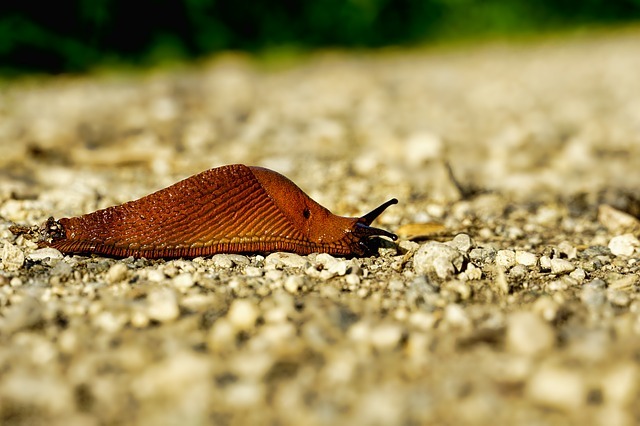 Here are ideas for changes that you could make to the Windows 8 desktop, some policies add features (Mr Nice), while others restrict the user’s actions (Mr Nasty). 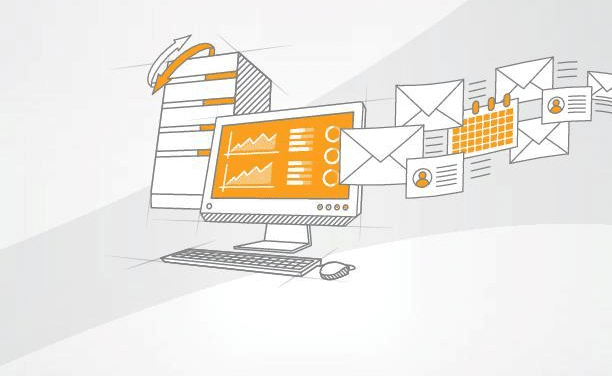 Prevent access to registry editing tools. Prohibit connection to roaming Mobile Broadband. 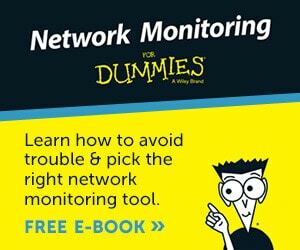 networks. Internet Explorer is a fertile area, for example: ‘Disable change proxy settings’. One use of Gpedit.msc is to link logon scripts to a Group Policy. Naturally, you select ‘Logon’ from the right pane. As ever, if you have an up-to-date operating system such as Windows 8, then configuring is easy. Select the PowerShell Scripts tab, then click on ‘Add…’ and now wire-up your PowerShell.ps1 file to the ‘Scripts’ policy. Tip: The trick is to copy your logon.ps1 file (into memory) then paste into the location revealed by the ‘Add…’ button. See screenshot above. The actual location C:\Windows\System32\GroupPolicy\User\Scripts\Logon is a hidden folder. This is one reason the above interface provides a ‘Show Files…’ button. To see the files in Windows Explorer you may need to change the folder view options. See more about PowerShell Logon Scripts. If you set your computer to install Windows updates automatically, some of these patches want to reboot your PC, however, it's not convenient. If you visit the Computer Configuration section, and expand Windows Settings, Security Settings and Security Options, then you can examine the UAC policies. For example: User Account Control: Turn on Admin Approval Mode. See more on	disabling the Windows 8 UAC ». Microsoft produces a lovely utility called Local Group Policy Editor so that you can change registry settings conveniently. As with previous Windows operating systems you can inspect and adjust the settings with a snap-in called gpedit.msc. If won’t find gpedit.msc in Windows 8 Home Premium, this is because it does not exist; you need to upgrade to the Ultimate edition.